Venus is the second-closest planet to the Sun in our solar system and the most brilliant in character when viewed from the Earth. Its swirling cloak of clouds make it particularly reflective. Inspiring in mythology and astronomy alike, Venus is especially renowned for marking the daily death and rebirth of our star, which it does in certain times of the year by appearing variously around sunset or sunrise. Because of its radiance and the predictability of its location, Venus is an easy and immensely satisfying target for the amateur astronomer and outdoor traveler alike. 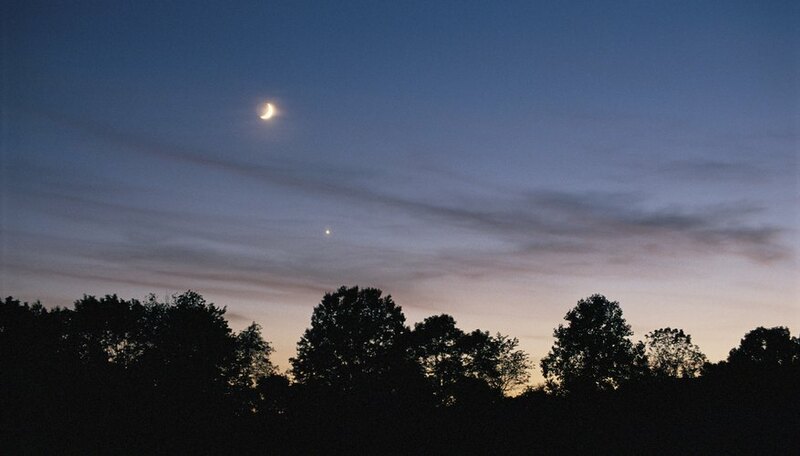 Watch for Venus with the naked eye, binoculars, spotting scope or telescope. When the planet is at its brightest, it is one of the most obvious and striking features in the heavens--easily appreciated even without the aid of magnification. But to more closely study the planet and track its changing appearance, binoculars or a scope are invaluable. 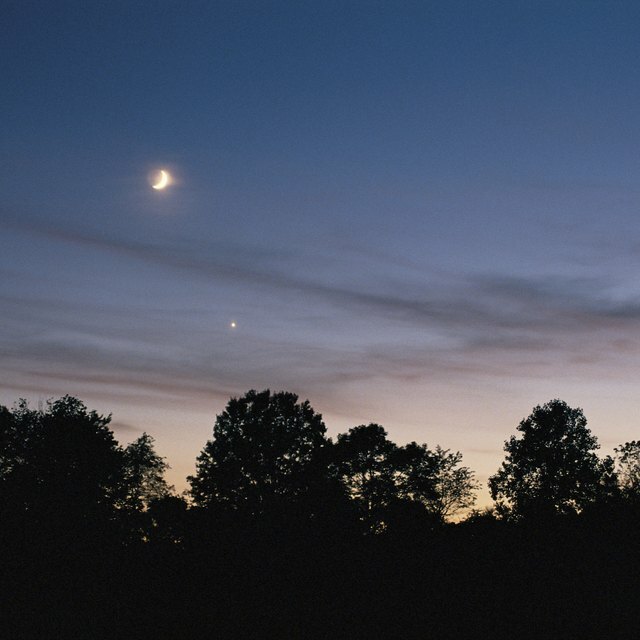 Look for Venus in the west just after sunset or in the east just before sunrise, depending on the stage of the planet’s cycle. Its summoning of night or day, respectively, explains its longstanding--and, considering it is a planet, inaccurate--monikers of “Evening Star” or “Morning Star.” From Earth, Venus is never observed to track far from the sun. But as it swings away from the solar body in its regular cycle, the planet will persist in the sky longer and longer after the sun has set or before it has risen. At maximum brightness, Venus has a visual magnitude of -4.6, which is very bright indeed. It outshines any other heavenly body, save for the sun and moon, and is brighter than the combined glare of the other planets. Indeed, at its boldest, Venus can even cast shadows on Earth. Sometimes it's even visible during the day, especially to observers who marked its position at dawn when it is more obvious. Track the planet’s phases. Like the moon, Venus will wax and wane in appearance from the Earth as its position shifts in relation to our planet and the sun. Its apparent size and magnitude changes, too: Venus as crescent seems larger and brighter than fuller incarnations because the planet is closer to Earth in its “sliver” phase. While a telescope will make the phases most apparent, they are also obvious through high-powered binoculars. Consult astronomy magazines, online sources or software to keep abreast of Venus’ location and phase at any given time. Shaw, Ethan. "How to View Venus in the Night Sky." Sciencing, https://sciencing.com/venus-night-sky-5943741.html. 24 April 2017.